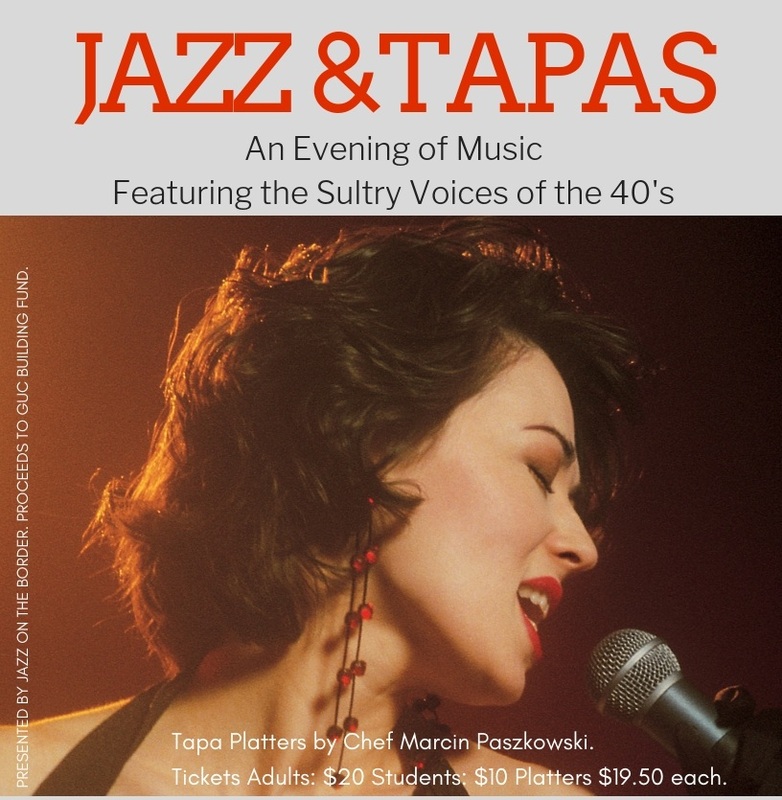 An Evening of Music Featuring the Sultry Voices of the 40's. Preorder Tapa (Appetizer) Platters by Chef Marcin Paszkowski. Choice 1: Charcuterie - Assorted meat served with olives, whipped butter, fresh bread & horse-radish aioli. Choice 2: Cheese Board - Selected cheese served with red onion chutney, crackers, roasted fennel, grapes & apples. Choice 3: Dessert Trio - Sticky toffee pudding, flourless chocolate cake, & vanilla panacotta.